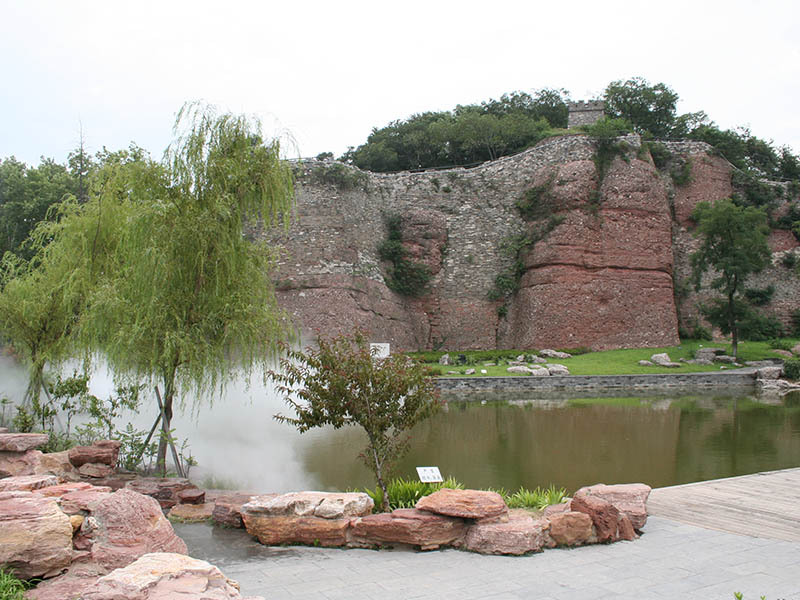 The free public park provides a chance to see remains of City Walls from two different dynasties: a red sandstone fortress from the Wu Kingdom (around 1800 years ago) stands side by side with a grey-bricked fortification from the Ming Dynasty (around 650 years ago). In front of a pond near the north end of the fortress, there is a wall stone whose silhouette rather resembles a human expression. Locals dub the scene ‘a grimace looking into a mirror’. This is an ideal place to enjoy the peace of city wall and Qinhuai river which stand side by side. Due to this special combination, the park is developed into a venue hosting various water sports and festivals. Annual dragon boat race of expats and foreign students are held here. A wall stone looking like a grimace is not the biggest protruded one but the small bumped one at the left side of it. Metro Line 2 Hanzhong Men (汉中门) Station Exit 2. Turn left, then continue walking along Huju Road (虎踞路) for 2000 meters till the Hehai University Hospital, then turn left and go straight on.